The current age we are living in is too different from that of 30 years ago. Nowadays, we find ourselves surrounded by technology and a lot of information, which makes it hard for anyone to get concentrated, or enjoy the good moments of life, as a lot of people are more busy to take photos or videos. It’s also more difficult than 30 years before when something as simple as going to bed in peace, as now we have our smartphones and tablets. When we use them at night melatonin production that let us sleep well, is blocked and also while using these gadgets, we usually stay occupied in subjects that may keep us worried. Hence, our mind needs to get some rest to face all these new kind of stressors. In past people learned to use it to be efficient, to study and learn as much information as they could and use to work hard to be what they wanted to be. Now, the main challenge consists to know how to filter the information we need to keep ourselves focused, and have criteria not to let us be stressed by any information that even may not be true, taking advantage from the new possibilities technology has brought to our lives to be happy, be ourselves and to connect with people far away from us, but without getting disconnected with immediate reality. For all this and even more we’re just about to explain, Mindfulness has emerged as a really successful method that helps people to reconnect with here and now through easy guided meditations that may have no friction or collision with any religion or belief, as it’s very simple. This is the main objective of any meditative technique, as only in here and now we find ourselves and it’s possible to be really happy. Wasting our time on worries, dreams with no action and repetitive thoughts is a dangerous habit that sometimes become part of vicious cycles we need to break. Breathing is the remote control of the brain and organic functions. When we learn its real power, we can reconnect with here and now, overcome panic attacks, clear our mind and even achieve higher states of consciousness, as we explain here. Beside deep and conscious breathing, in Mindful meditation you’ll learn even more tools available to clear your mind, get relaxed and evade distress in the future. It’s important to remember that Mindfulness must not be used to evade reality and the consequences of your acts. Our minds and souls are used to hide fears that are really deep, but rough disciplined meditation, we may find those fears and emotional injuries that interrupt our connection with reality to understand ourselves better, and little by little, we’ll be able to face and heal that past (which means changing our perception about it). As we said, the excess of sources of information is one of the main challenges of our era. We may get overwhelmed by them but we also know it’s necessary to use all these new technologies frequently for different purposes, so we have to dome our mind and find the right balance to overcome through this challenge. With the information-overload we find another brand new enemy, the misinformation. It is because of ignorance of the journalists or writers, or also due to bad intentions of some people who create and share lies and/or promote specific points of view in people. The fact is that misinformation is abundant nowadays and we must learn not just to study something in depth, but also to detect those lies and to be aware of our reactions and prejudices, as the most of the misinformation we could be still believing in is usually related to what we don’t want to see, and those lies we want to trust on to keep ourselves blinded from our particular inner reality. This aspect is deeply connected with the previous benefit, as we also need to awaken our intuition (and in case of women, to balance it) to see easier through the clouds of illusions and lies we face every day. Emotional intelligence, as we said, is important to learn from our reactions and to let emotions flow out to find healing. The power of the mind to overcome health problems or at least to reduce pain is amazing, and with Mindful meditation, you may start to use this power every day, and you’ll know yourself (and others) better through illnesses. As there are mental addictions, we already mentioned, that are biochemical which are also a big challenge that a lot of people need to solve. And it isn’t just about hard drugs or cigarettes. 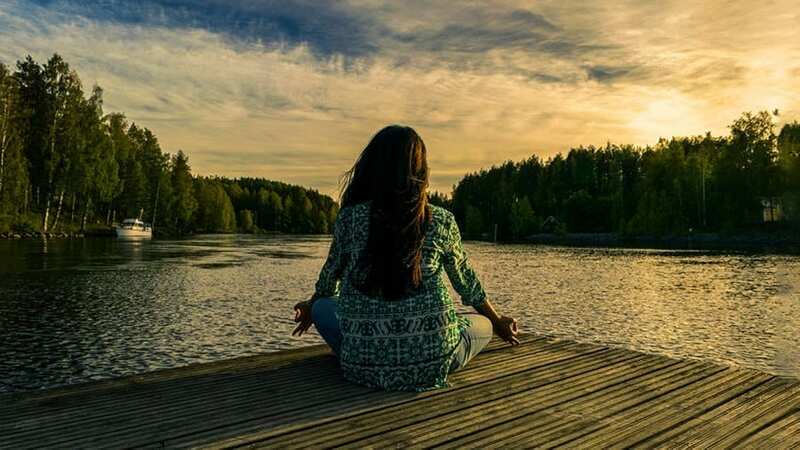 Some medical drugs can make you addictive and learning how to meditate can help you to start reducing this dependence and little by little, you may start to reduce the doses because it won’t be needed anymore. Nature is our original home and sometimes that’s what you need to empty your mind and know yourself better. Escape from the cities to nature and use all the tools that meditation and Mindfulness give to you to be yourself and drop what you don’t need.